I'm trying to keep on top of things here at Shhhh! 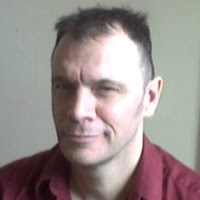 Digital Media and have a few updates I'd like to mention but first I'll talk about some other news I'd like the share. First is for the Elite Dangerous players or those interested in becoming players. Frontier Developments has released Season 3.0 titled Beyond for the game Elite Dangerous and its corresponding DLC Horizons. I got the chance to play it last night and I have to say that the additions are incredible. Visually the new planetary system rendering is stunning. Planets now come in a wide range of colours and patterns making exploration much more of a visual treat and certainly inspiring many Elite photographers out there. Another addition is the audio narration of the GALNET news and articles. GALNET is much like Elite Dangerous' news media and prior to the update required the player to do quite a bit of reading while flying the ship. A potentially dangerous and risky prospect. With the GALNET narrator, these articles and updates are now read to pilots by the ship's onboard computer meaning that you stay up to date with the galactic news and the Thargoid incursions hands free. There are many other features including a new ship and changes to the crime and punishment system. I'd highly recommend taking a look at it. Ubisoft have updated Assassin's Creed: Origins to include a Discovery Tour of the Ancient Egyptian setting of the game which apparently boasts a to the meter accurate rendition of Ancient Egypt itself. The player can navigate through Egypt while getting details and facts from leading Egyptologists and Historians. A great educational tool and another addition to educational gaming. I'll be sure to add this to the article: The Learning Game. The Butterfly Dragon: What Different Eyes See received a small update and will be worked on more throughout this week and possibly into the weekend. Many people might not be aware of how the stories of The Butterfly Dragon series began. 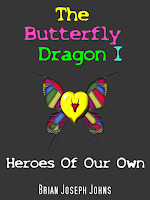 Well I've remedied that by posting the entire book The Butterfly Dragon I: Heroes Of Our Own on this site. The full updated and revised edition is now available for your reading for free. If the entirety of the book is not up yet, it will be uploaded in large pieces. The first quarter (about 28 chapters) of the book was uploaded today just prior to this post. If you're curious about the origins of The Butterfly Dragon, Night Style, The Eclipse and Valkyra, its in that book that you'd find them. The book is entirely finished so its just a matter of me posting it from the final copy onto the web. Also the beginnings of the next story in the A Lady's Prerogative series went up last night. 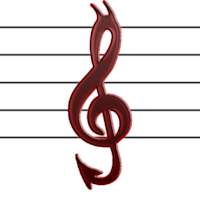 It is called A Lady's Prerogative: The Devil In Music. This story details Mila's attempt to ready a musical progidy for a role in the Sanctum and Mila's own school of magic, The Order Of Aetherial Artistry. It begins a mystery that Mila must unravel in order to save this prodigy and herself. Finally, A Lady's Prerogative: Bella's Tarot Reading received a large update (did I mention that in a prior post?). It is nearing the finish line and will be a done deal soon.